We consistently offer the best hardwood floor installation services in the Portland, Oregon area Our quality products and compassionate customer service cannot be beat! One of those services is hardwood floor installation. If you have been thinking about getting hardwood floors in your home, either switching from carpet or linoleum to hardwood, or upgrading the hardwood flooring you already have, install hardwood floors with Wall 2 Wall Hardwoods! Why choose hardwood flooring? There are so many reasons why our customers are switching to our high quality hardwood flooring each day, starting with the fact that it is a timeless and versatile look that is beautiful in any home. They’re also easy to maintain and restore. We have many different styles and colors to choose from, so we can assure you’ll find the type of hardwood flooring you had in mind. Our team of enthusiastic experts is trained and have the experience to get the job done right in a timely and professional manner. We believe that excellent customer service is just as important as quality product output, and we prove that by providing you with our best work each and every time, working with you along the way to make sure your new flooring is just how you envisioned it. 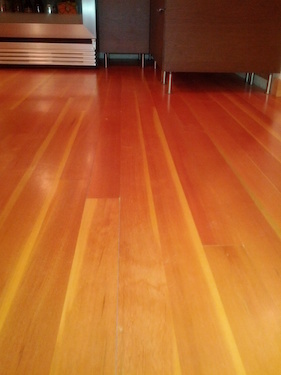 So if you or someone you know is interested in a hardwood floor installation in the Portland area, give us a call! Come and see for yourself why we have the best hardwood floor installation services in town!